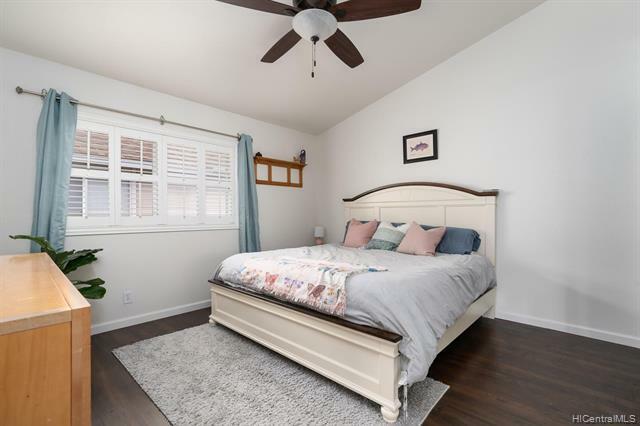  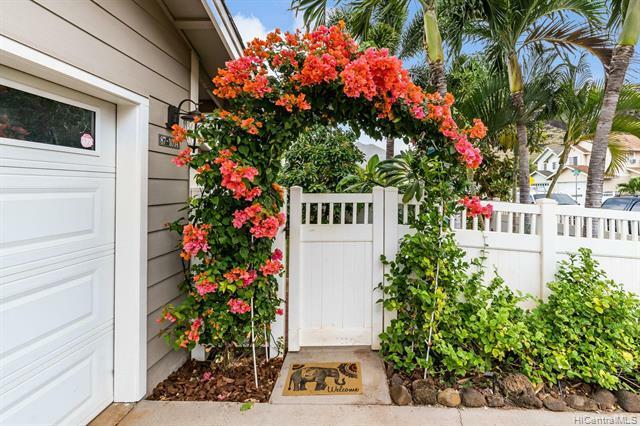 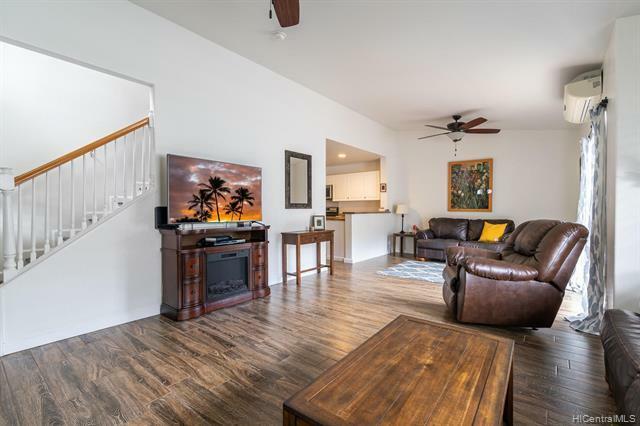 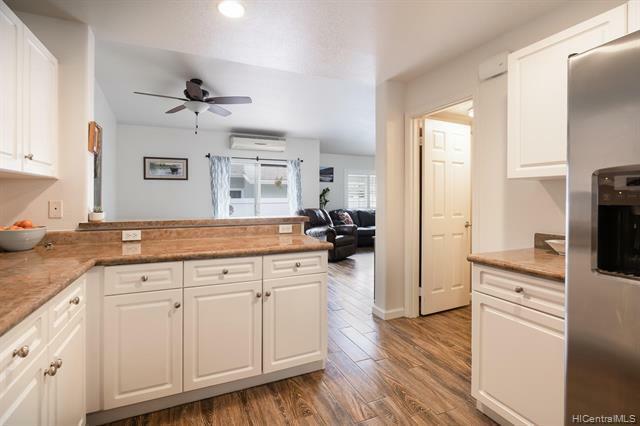 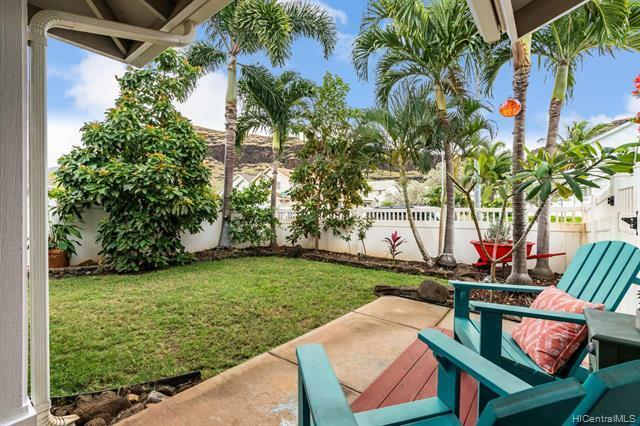 NO MAINTENANCE FEES for this lovingly maintained 3 bedrooms, 2.5 bath home in Kaimalino at Sea Country. 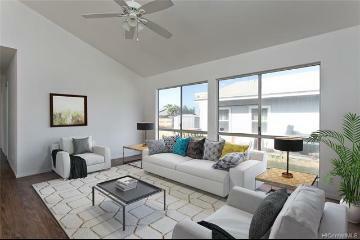 Beautiful wood-like porcelain tile throughout the downstairs and Pergo outlast flooring throughout the upstairs. 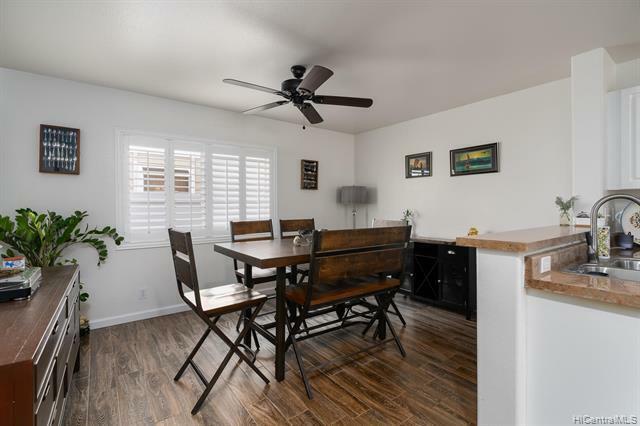 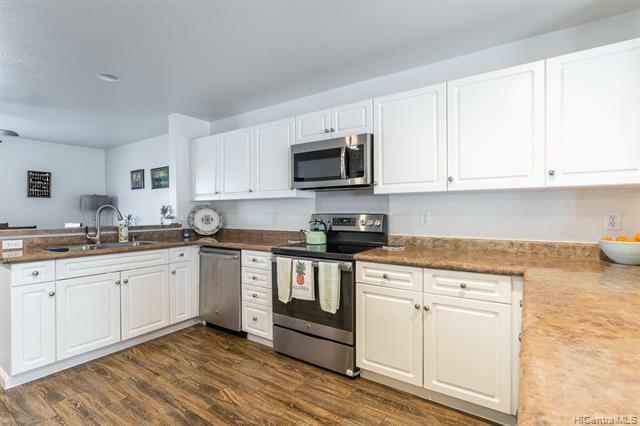 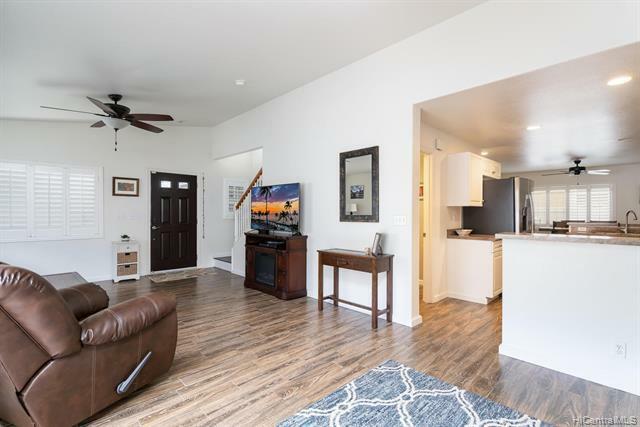 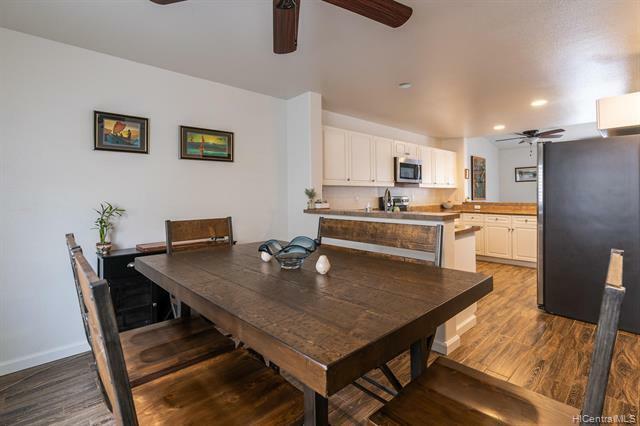 The functional floor plan includes a large and extended living room with split A/C and a separate dining area next to the spacious kitchen with stainless appliances. 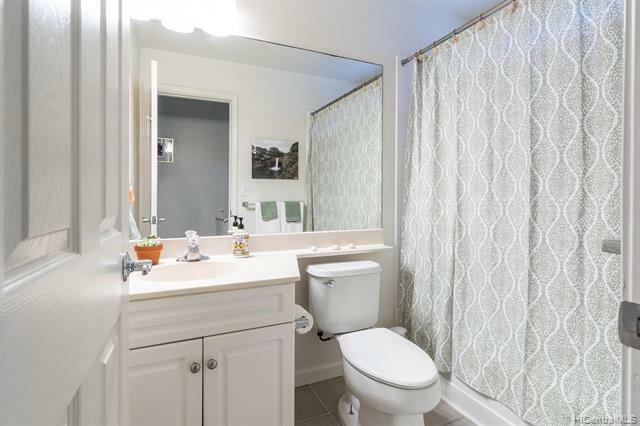 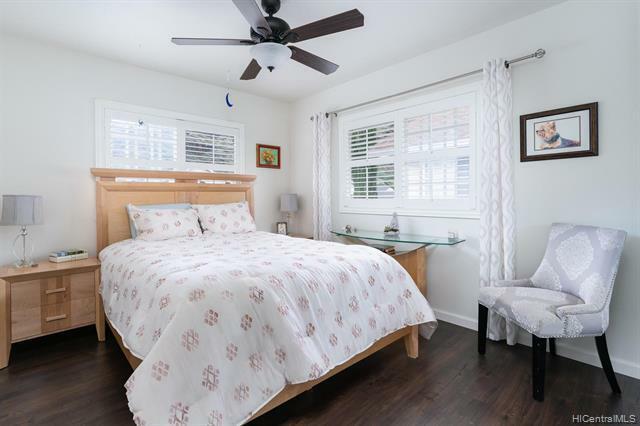 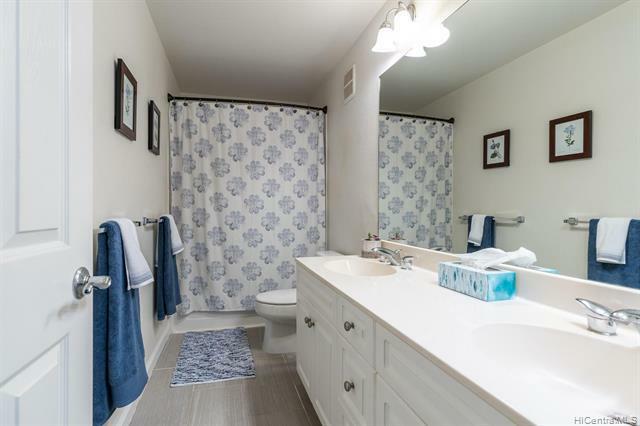 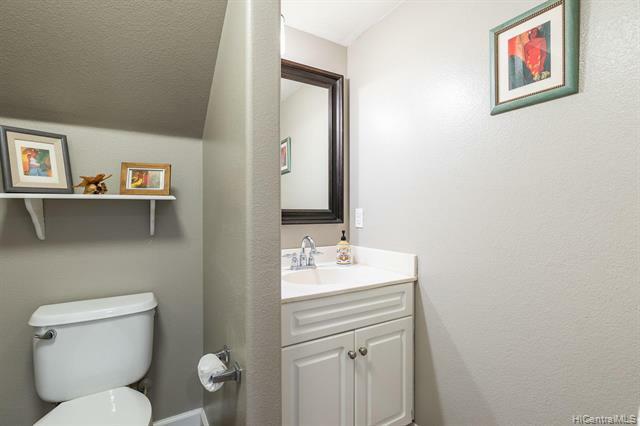 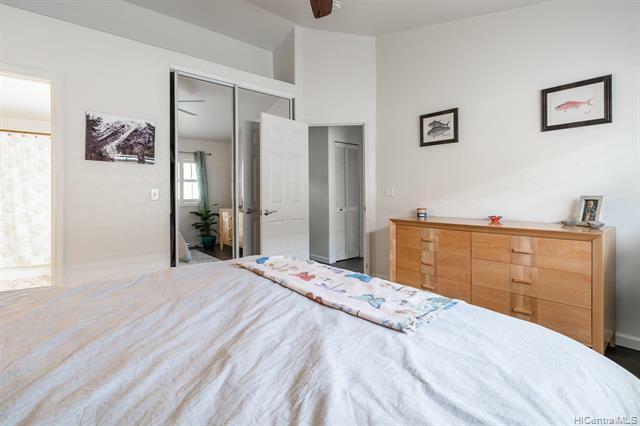 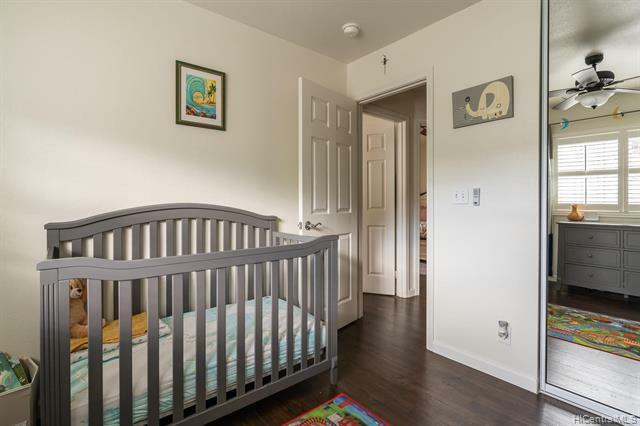 Large master bedroom has a high ceiling with an ensuite that features a dual sink vanity. 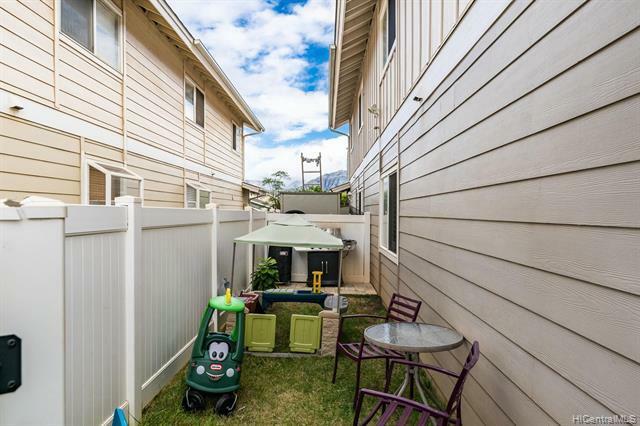 The yard spaces are landscaped with mature fruit and flower trees and are perfect for entertaining family and friends. 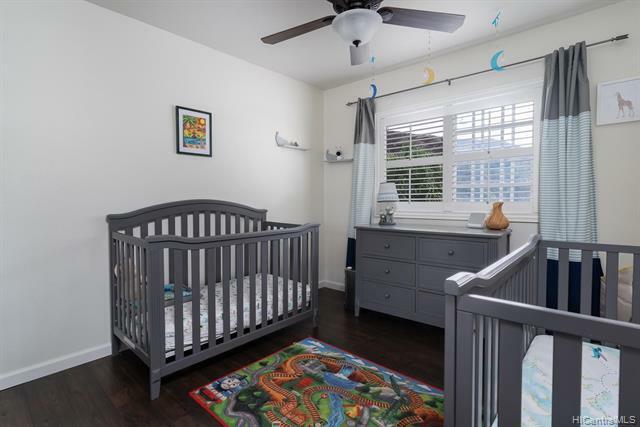 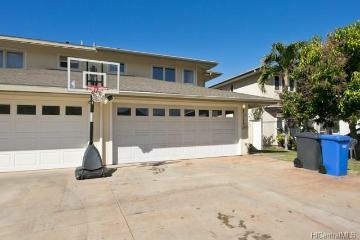 4 parking available between the driveway and a large 2 car garage with built-in shelves and surfboard racks. 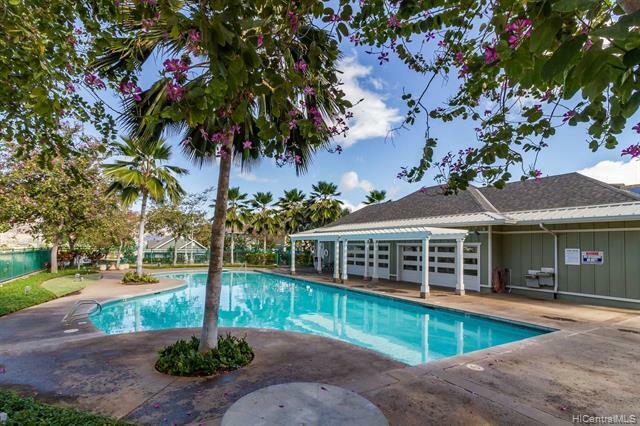 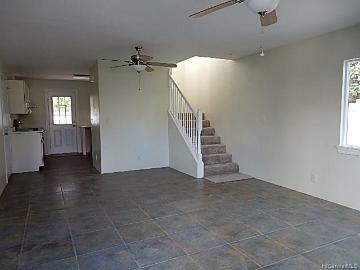 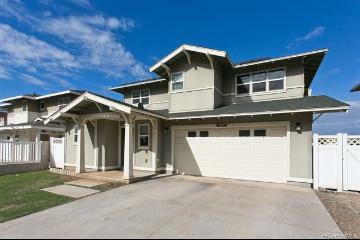 Walking distance to the community pool with hikes and stunning beaches just a short drive away. 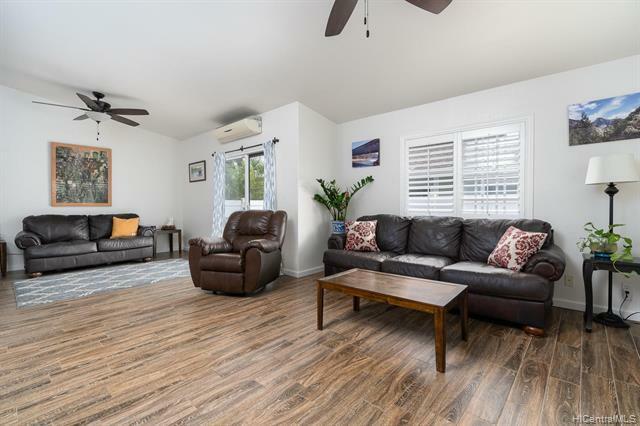 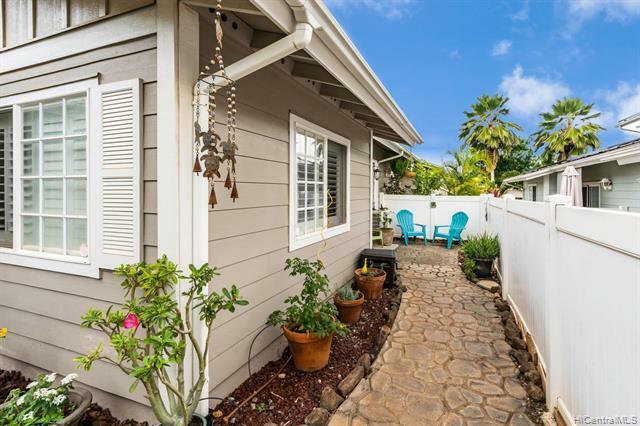 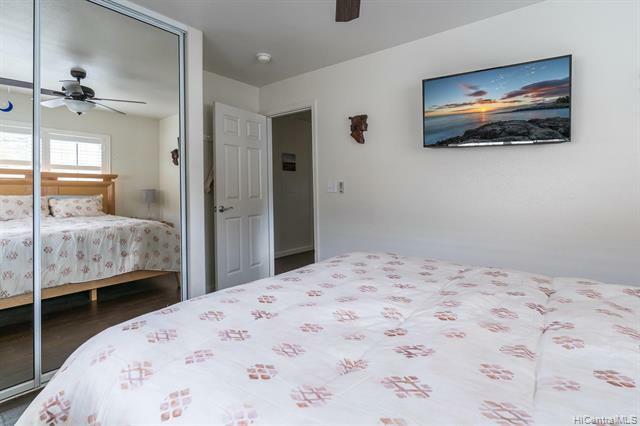 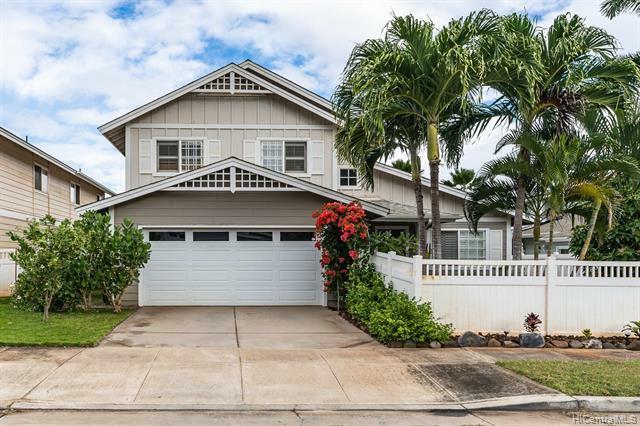 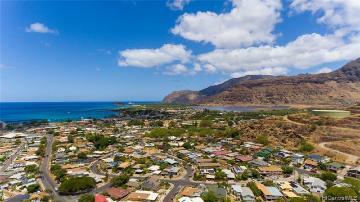 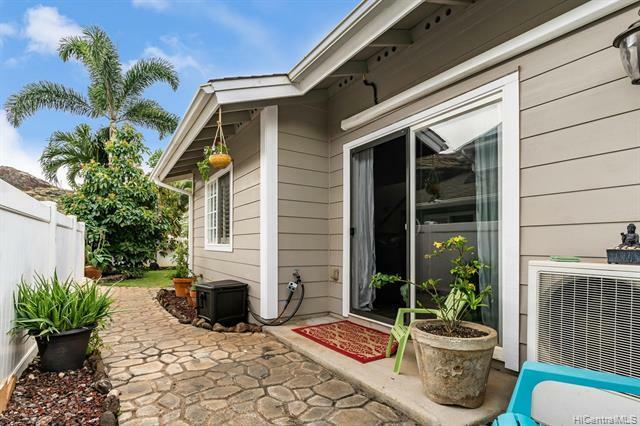 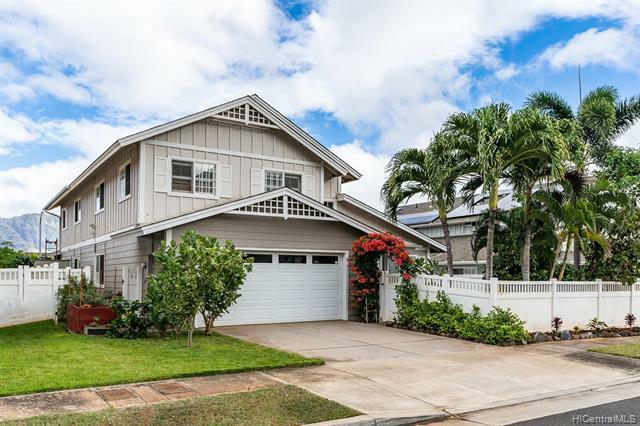 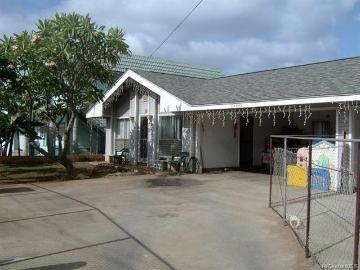 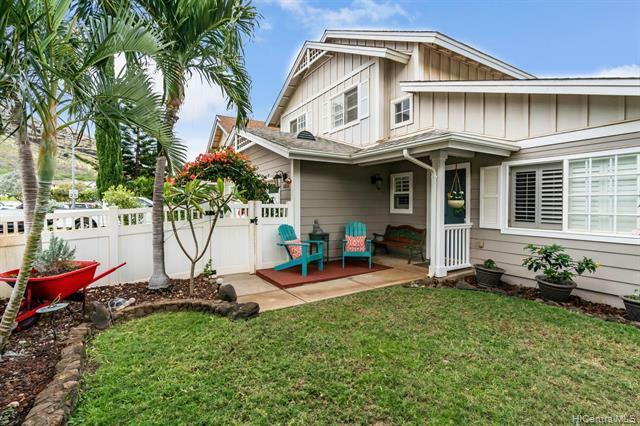 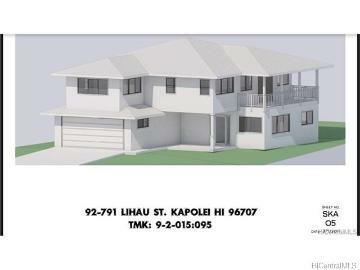 87-1014 Ahekai Street, Waianae, HI.